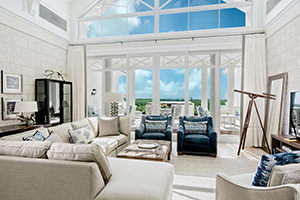 The Shore Club’s thoughtfully designed oceanfront suites boast hand selected natural materials, and furnishings inspired by their island environment. 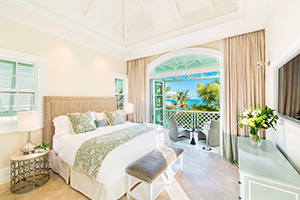 Generously sized one, two, three bedrooms, and penthouse suites offer outstanding panoramic views. 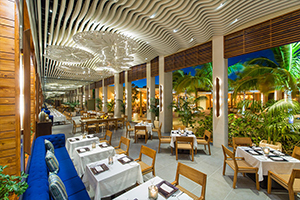 The Shore Club offers a variety of culinary adventures and atmospheres in its three restaurants and three bars. 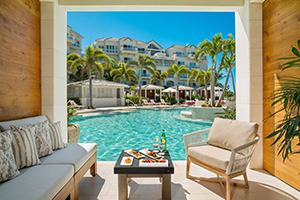 Four distinct pool sections – Adults, Family/Resort, Colonnade, and Lap Pool. Dunes Spa provides beach front massages, while guests will also have access to the multi-award winning Spa at the Palms. 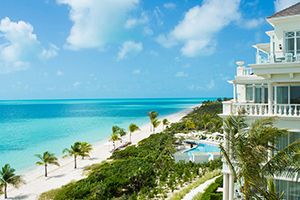 The ultimate in privacy and luxury is the spectacular new oceanfront Villas at The Shore Club. 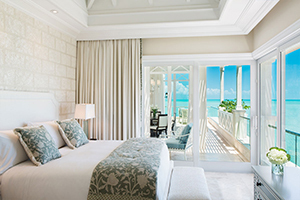 Bespoke Caribbean elegance with up to 8,800 sq.ft. of space. Three to six bedrooms, spacious courtyards, private pools, as well as private housekeeper and your own personal concierge. This place is amazing, and the room is extraordinary. Love it! Complimentary bikes for the whole family. Swim-up pool bar serving handcrafted cocktails. Complimentary breakfast and afternoon tea served at the Cloister Garden. Complementary Kids Club with a tree house theme. Complimentary use of non-motorized water sports equipment, from snorkels to sea kayaks.